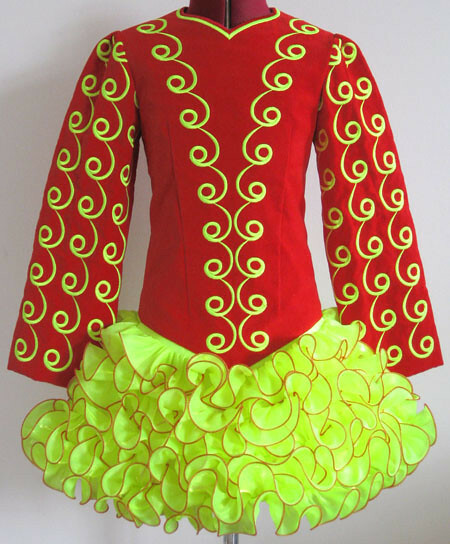 Bright red lightweight velvet bodice and sleeves, with fluro yellow embroidery design. 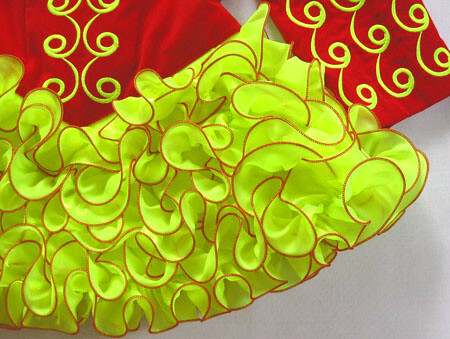 Adorable cupcake skirt ruffles constructed from fluro yellow twinkle satin with red trim. 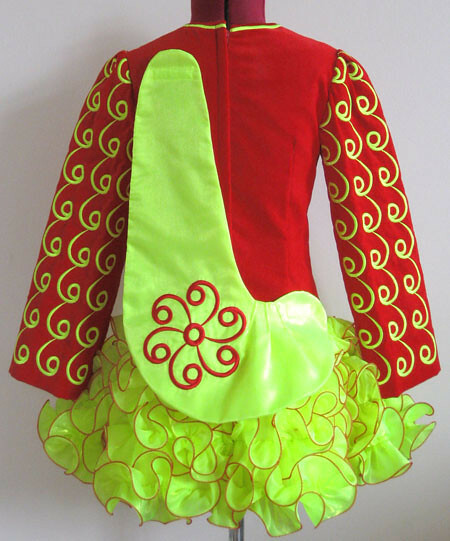 Soft style shawl constructed fluro yellow twinkle satin with matching red embroidery design.